There’s nothing worse than that feeling you get when you begin to realize you’re getting sick and the helpless feeling that you will now have to patiently wait for your symptoms to subside and for you to continue your life. We are constantly inundated with images and commercials of products that will magically make your symptoms go away or shorten the duration of your cold or flu. Not wanting to take something from the drug store? So, what other options do you have? Herbs and supplements are a great way to naturally boost your immune function so that you’re less likely to get sick. If you do get sick? You can take the following herbs to help with your symptoms and shorten the duration of your cold. These are my favorite herbs to recommend to my patients due to their incredible anti-viral effects. 1. 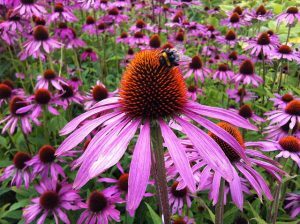 Echinacea: Echinacea has been shown to increase white blood cell counts, immune cells that help fight infections. It’s an excellent anti-viral and anti-bacterial and can not only help prevent you from getting the common cold, but can also help shorten the duration of it, too. It’s best used to treat active infections, at the first sign of an acute infection or when you know you have been exposed to a virus. Tips: Pay attention to the species of Echinacea that you are purchasing. Although Echinacea spp. in general is good for supporting immune function the species purpurea is best for immune system stimulation and angustifolia is best for immune system regulation. In addition to species, pay attention to the quality of the supplement you are purchasing. Echinacea won’t be effective if it’s not from the right part of the plant! To determine whether the Echinacea you have is active place the supplement on your tongue (break open the capsule if using a capsule). The liquid or powder should make your tongue ‘tingle’, almost as if it is asleep. If you don’t get those effects there isn’t enough active ingredient in the supplement to increase immune function. 2. Elderberry: Not only is this herb absolutely delicious, but it is also one of the most powerful anti-virals. It helps treat respiratory illnesses such as cold and flu. In addition to being an anti-viral, it also has anti-inflammatory and anti-influenza properties among many other medicinal properties. Not to forget that research in the past several years has shown that the combination of Echinacea and Elderberry rivals Tamiflu in fighting the flu. 3. Astragalus: This plant is an immunomodulator and can be taken daily to not only modulate immune function but help support your adrenals, helping you manage stressful situations and decrease cortisol. Therefore, this herb strengthens the entire immune system, assisting you in prevention and treatment of viruses. 4. 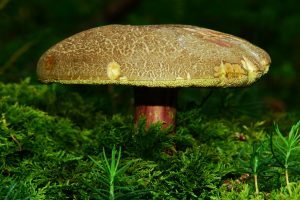 Mushrooms: Mushrooms display a variety of medicinal properties. The ones that we are concerned with are its anti-viral and immune-stimulating behaviors. Reishi and Shiitake are probably the most well-known mushrooms people consume for medicinal reasons. But there are many more! Some of the others that are great for your immune system are: Miatake, Agarikon and Coliolus. 5. Licorice: No not the candy! Licorice is a powerful anti-viral and can be used to treat sore throats, cough and upper respiratory infections. It is also known to support the adrenals and therefore lower cortisol levels. Tips: This herb, although incredible for fighting colds, has some serious contraindications, especially for those who have high blood pressure. But not to worry, although you may not be able to ingest this herb, you can still take the powder and gargle with it to soothe and fight sore throats. To learn whether you can safely take this herb and what form is safe for you consult your Naturopathic doctor. As always, speak with your Naturopathic doctor before taking any herbals or supplements. Contact 3 Dimensional Health & Wellness if you need further guidance: www.thrivingin3d.com. I’d be happy to help and guide you!